One of the simple pleasures of Sunday mornings is enjoying a relaxed breakfast, and I always look forward to scones to go with my coffee. Scones are said to have originated in Scotland, and were very much like bannock, a flat, dry oat biscuit made on a griddle. Today’s scones have taken on a sweeter side with the addition of nuances like dried fruits and nuts. When you make them, keep in mind that the best scones will have the least manipulation. Over-mixing will cause them to be tough instead of tender. It is best to mix the ingredients by hand and only until blended. So start with mixing the dry ingredients first, and remember to measure the flour correctly by lightly sprinkling it into a dry one-cup measure and leveling it off at the top with a butter knife. Some recipes call for cold butter to be cut into the flour like making a pie crust, but I only use melted butter to brush the surface of the scones before baking. There are no eggs in this recipe; heavy cream, half and half or even sour milk provides the liquid and the richness. Bake the scones plain or add some Sunday sunshine to the dough and mix in raisins, dried apricots, cranberries, strawberries, and nuts such as walnuts or hazelnuts. Use a fork to mix in 1 ¼ cups of heavy cream, Half and Half or sour milk. Mix just until a rough mass of dough forms. Knead the dough a couple of times on a lightly floured surface to smooth it out. Line a baking sheet with parchment paper and transfer the dough to the baking sheet. Pat the dough into a 10-inch circle. Brush the top with 1 ½ tablespoons of melted butter then sprinkle with coarse white sugar. Get out the coffee, call the family and enjoy Sunday! I love scones, and this looks like such an easy recipe. I just started watching your show, on Create channel, and I love it. Today, you made tomatoe tarts, and they looked delicious. Sadly, our soil is terrible and only grow some basil in a raised bed. 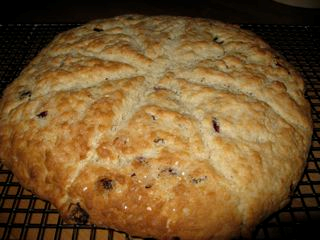 But; I am dying to make these scones, with dried cranberries. 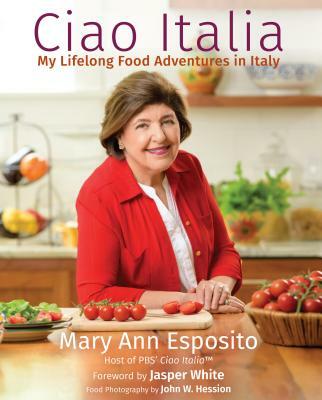 Thank you for your wonderful show...it's the way my mother and grandmother cooked and using easy ,fast, recipes with fresh food! we are green umbrella of trading company from iran.we can supply all of kind pistachio with best quality in so great price.we hope to have a good cooperation with you. Just put em in the oven. Looks like they will be good! Suggest Not adding all the milk (like I did), it was too much. Also like there is no butter in this recipe.